Wer da gläubet und getauft wird (He who believes and is baptised), BWV 37,[a] is a cantata by Johann Sebastian Bach, a church cantata for the feast of the Ascension. He composed it in Leipzig and first performed it on 18 May 1724. 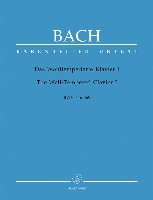 The work is Bach's first cantata composition for the feast of the Ascension. 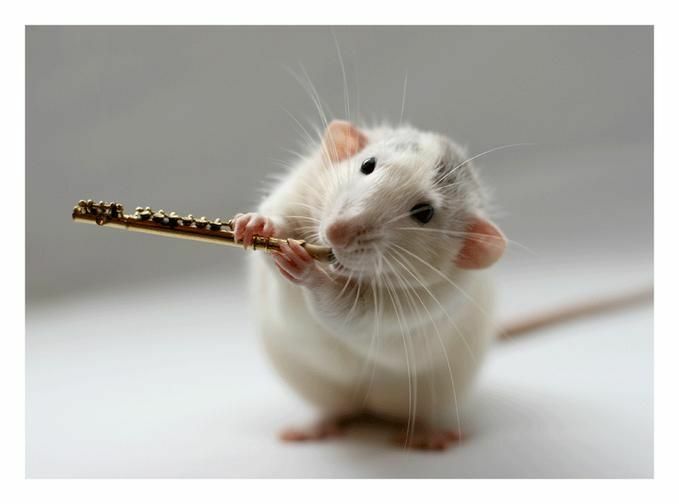 Surprisingly for a high feast day, it is modestly scored; only two oboes d'amore add to the sound of the regular stings and basso continuo, accompanying four vocal parts. An anonymous poet derived thoughts from the prescribed Gospel, even quoting a verse, but excluded the Ascension itself and concentrated on the Lutheran idea of justification by faith alone. The poet structured the six movements of the cantata in two parts, each concluded by a chorale. Although the text for the first movement is a quotation of Jesus, it is not given to the bass as the vox Christi but to the choir. 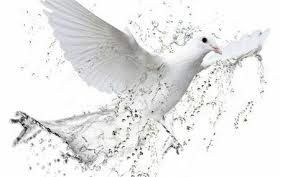 John Eliot Gardiner notes that Bach treats it as a "statement by the faithful, as though to demonstrate that they had already absorbed its message to 'go into all the world, and preach the gospel to every creature". The movement begins with an extended instrumental Sinfonia which introduces three melodic lines that occur simultaneously. The first motif is played by the oboes and later taken by the choir, According to Gardiner, it suggests "steadfastness of faith". The second motif in the violins is reminiscent of Luther's hymn "Dies sind die heiligen zehn Gebot (These are the holy Ten Commandments), which opened two other cantatas. Gardiner describes it as "emollient and graceful, a halfway house between a minuet and a waltz, affirming a more serene side to faith." 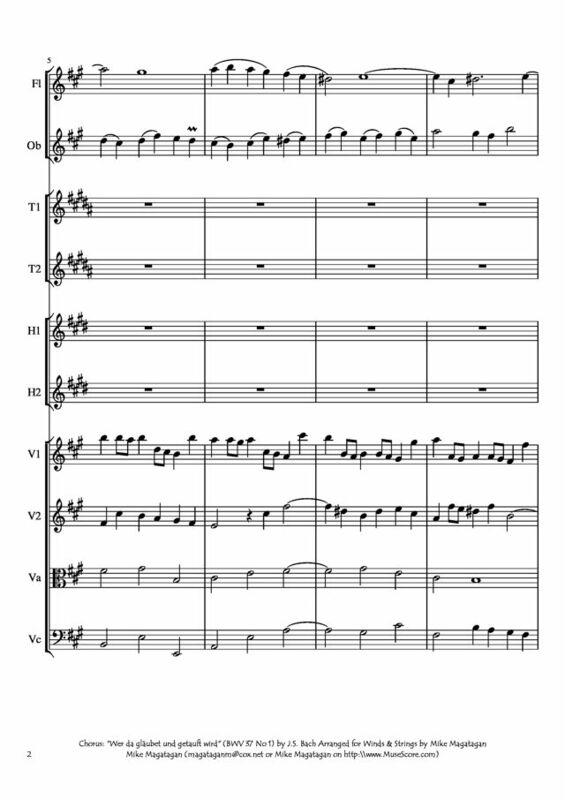 The third motif is part of the hymn "Wie schön leuchtet der Morgenstern" and appears in the continuo. In two vocal sections, the voices are embedded in a repetition of the Sinfonia. 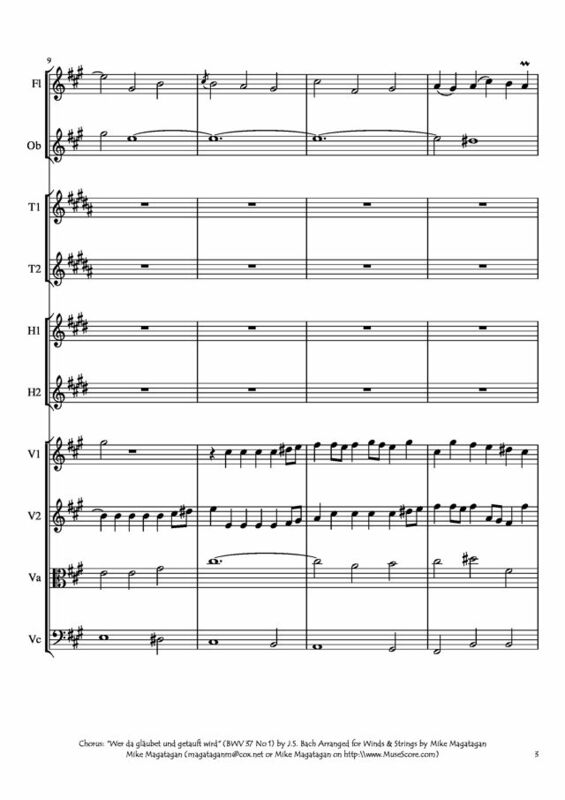 The cantata in six movements is scored rather modestly: the four vocal soloists (soprano, alto, tenor and bass) and a four-part choir are accompanied only by two oboes d'amore, two violins, viola and basso continuo. Bach's cantatas for the occasion in later years, Auf Christi Himmelfahrt allein, BWV 128, and Gott fähret auf mit Jauchzen, BWV 43, and his Ascension Oratorio use a more festive orchestra including horns or trumpets. 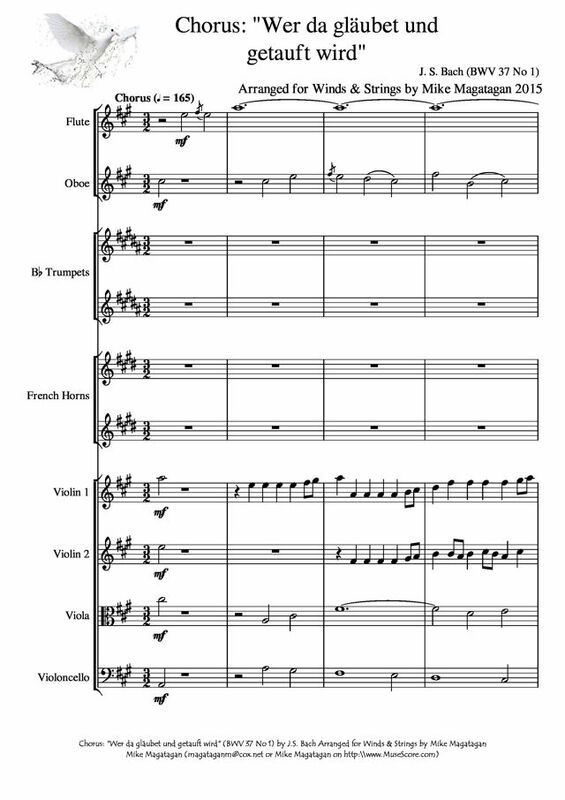 I created this Arrangement of the opening Chorus: "Wer da gläubet und getauft wird" (He who believes and is baptised) for Winds (Flute, oboe, 2 Bb Trumpets & 2 French Horns) & Strings (2 Violins, Viola & Cello).